Find exciting things to do, from sunning and snorkeling to dining and dancing! Key West is your destination for the ultimate fun in the sun. Get even closer to nature by taking spectacular dives to shipwrecks and living coral reefs in Key West. Through the Key West Dive Center, you can scuba, snorkel or snuba dive in the most beautiful waters on America’s eastern coast. Key West is the departure point for tours to Dry Tortugas National Park, which can be accessed by boat or seaplane. You’ll need to spend the whole day away from Key West, and pack everything you might need with you – but it’s completely worth the trip. Find the best shopping and dining areas in Downtown Key West, ideal for a leisurely day or an upbeat nightlife. Don’t miss the shops and restaurants on Duval Street. Whether you’re planning a bar crawl or a family dinner, there are options for everyone in Downtown Key West. Just off of Duval Street, you’ll find the southern-most beach in the continental U.S.! 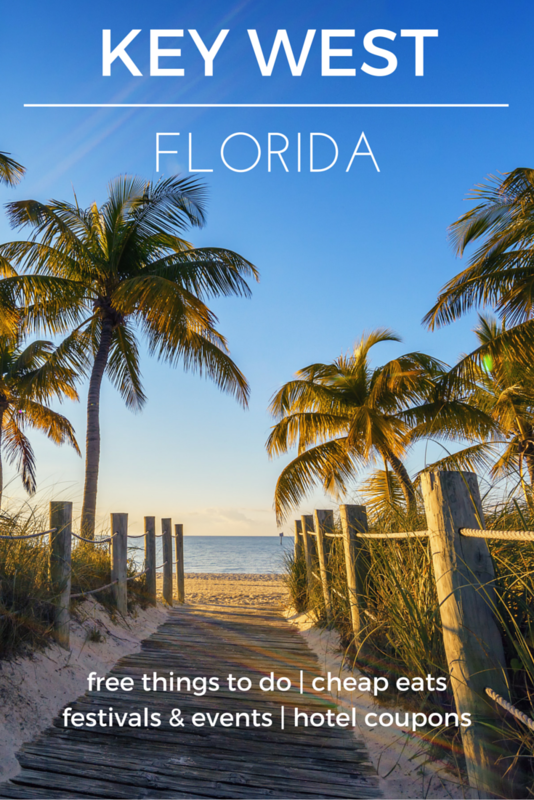 South Beach is the perfect spot for travelers looking for a true Key West beach vacation. Smathers Beach is a longer beachfront than most of the beaches in Key West. If you’re looking for beach amenities, this is the beach for you. You’ll find picnic and restroom facilities, along with options for equipment rentals. Every night, travelers to Key West are invited to join the Sunset Celebration. This special event is meant to celebrate the beauty of the setting sun each night. Enjoy arts and crafts, street performers, food carts and more. This semi-hidden garden on White Street and Atlantic Boulevard provides a free attraction for garden and history lovers. Within the gardens you’ll find ruins of the West Martello Tower. Explore 19 acres of historic cemetery in beautiful Key West. This popular attraction is perfect for a casual walk or to view the vaults of famous Key West residents. Walk through the Key West Memorial Sculpture Garden to view the busts of the city’s 36 most influential residents of past and present. Explore the Florida Keys Eco-Discovery Center, which features free admission, marine life exhibits, ecosystems information and more. Celebrate the great American writer, Ernest Hemingway during the annual Hemingway Days Festival. Enjoy look-a-like contests, a museum, and events. The Bahama Village Goombay Festival is a vibrant street party held each year before Fantasy Fest. The festival celebrates Caribbean and African culture through performances, food, crafts and more. This annual Halloween celebration draws thousands to Key West each October. Each year, Fantasy Fest features a different theme, so attendees dress accordingly and enjoy the parade, festival and entertainment. The Bright Before Christmas event in Key West features events each weekend in December to celebrate the holiday season. If you’re planning a trip to Key West next winter, add these events to your calendar. Ring in the New Year by watching the conch drop, viewing live performances and more. Key West is an extremely fun New Year’s destination!